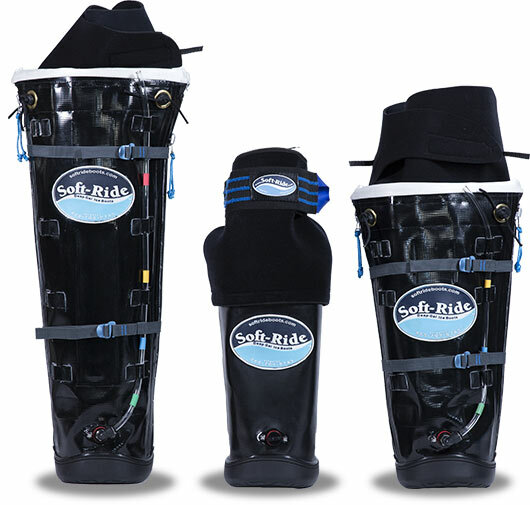 The Ice Spa from Soft-Ride is an innovative new way to safely and easily ice your horse’s hooves and legs. The Ice Spa is available in three models and is perfect when icing for short periods after a tough workout or competition, or when icing for extended periods—such as following the 72-hour icing protocol for laminitis. As a leading manufacturer of equine comfort boots, Soft-Ride was asked to develop a portable, safe method to ice a horse’s legs for extended periods, such as the “72-Hour Uninterrupted Icing Protocol for Post-colic Surgery and Acute Laminitis,” as recommended by Dr. Andrew Van Epps of The University of Queensland and Dr. Jim Belknap of The Ohio State University. The ability to easily clean and disinfect the device so it could be used on multiple horses. If you are an existing Soft-Ride customer, please login to your account. Email: *Username is required. Password: *Password is required. © Copyright 2019 Soft-Ride Inc.
You may not reproduce, adapt, modify, communicate to the public, reproduce or otherwise use any part of this website (in particular for commercial purposes), or otherwise without the express written permission from Soft-Ride, Inc.